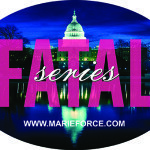 Best Time Ever to Check Out the Fatal Series! Reader Weekend in RI Highlights—Perfect Weather and a Great Time Had by All! Marie Interviews the AMAZING Christina Lauren—and SQUEES with Fan Girl GLEE!